Most of us know that supporting local business and localizing our food system is important, but just how big of an impact could a local food economy have for Southeast Alaska? 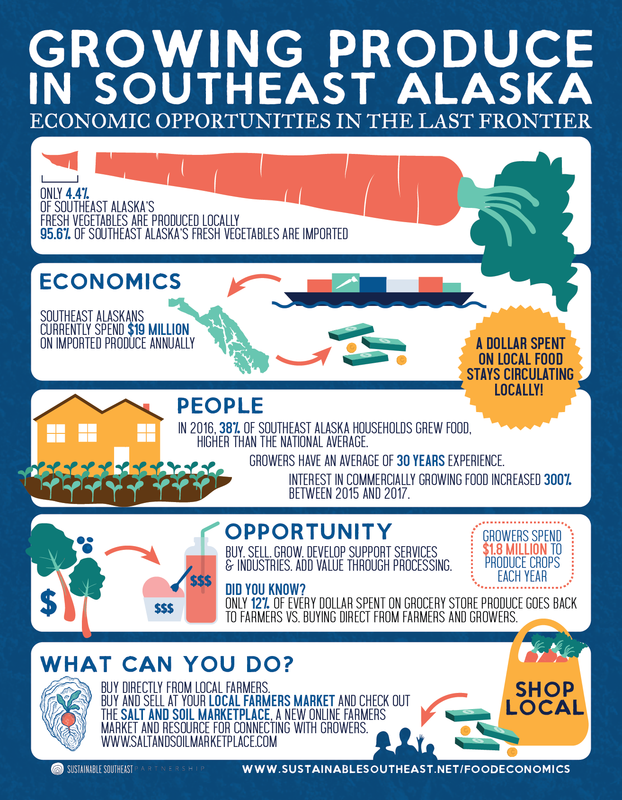 Members of the Sustainable Southeast Partnership, Spruce Root Community Development, Grow Southeast, and the Southeast Alaska Watershed Coalition partnered to produce a study on the economic impacts of localizing vegetable production in Southeast Alaska. Check out the handy infographic below, and read the full report here!